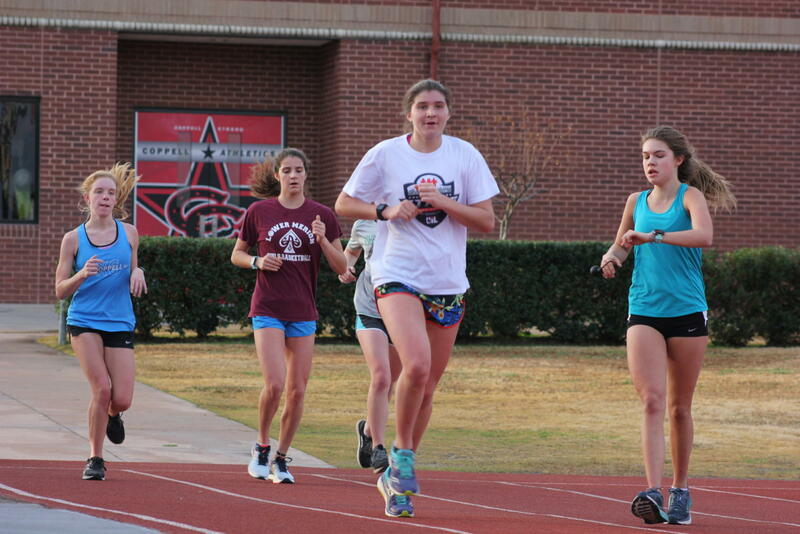 Coppell High School girls Cross Country team returns back to the track after their daily morning run on Dec. 4. Girls Cross Country recently won the 2018-2019 State Championship at Old Settlers Park in Round Rock Texas. Uncontrollable emotions, numerous tears and various high-pitched screams characterized the Coppell cross country team at Old Settlers Park on Nov. 3. The girls team left with its first state team title and a new boys 5K school record. The cross country team trains year round in the blistering cold or melting heat, rain or shine. The runners’ dedication to the sport has paid off majorly this season. To open its season, the team travels to the Run Across Texas camp, a week-long running camp in far west Texas. The camp allows Coppell to train with some of the top schools in the state, including Southlake Carroll and Prosper. Throughout the season, the athletes all had varying performances in their races. Where some would have their good week, other girls struggled. No matter the results week to week, the girls focused on themselves and their goal of taking home the state title. 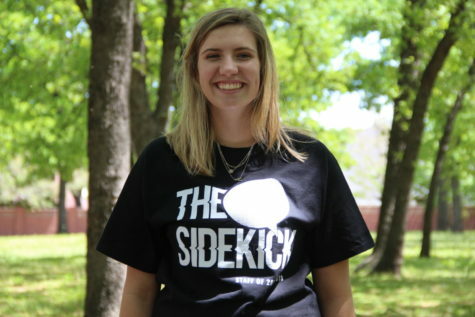 This year, the district realignment pitted Coppell against some of the top-placing teams in the state early on in the championship season. While the boys team failed to advance out of the district meet by four points, the girls advanced with a second place finish. At region, the girls slipped through, securing the fourth and final spot to the state meet. After the regional results, Milesplit, a large company based around race results, released their predictions for the Class 6A girls state cross country meet at Old Settlers Park in Round Rock. The organization did not even predict Coppell to be in the top three. Cross country meets are scored on a team’s top five athletes based on their number position in a race; the lower the score, the better. From the spectators’ cheers, the athletes were able to determine they were in a decent position. 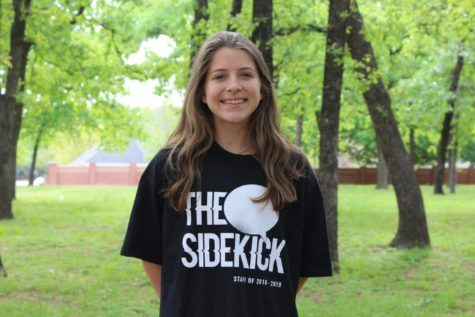 Coppell beat its two largest competitors – Flower Mound and Southlake Carroll. Flower Mound finished second and Carroll was fourth, just short of a podium position that they have held for over a decade. The boys team did not leave the state meet without a mark on the school’s history either. Coppell High School sophomore runner Evan Caswell was the only boy to make it out of the district and regional meet. At the state meet Caswell set a new school record for the 5K run in 15:31.92, beating the previous record of 15:47.5, set in 2003. After placing ninth at the regional meet and setting a new school three mile record, Caswell decided to chase the 5K record at his first state appearance.